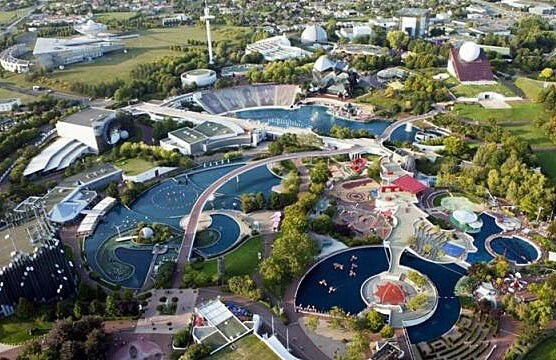 The unique visual theme park, aptly named Parc du Futuroscope, spans over 130 acres of land devoted to entertaining, and inadvertently educating, the millions of tourists that visit each year. 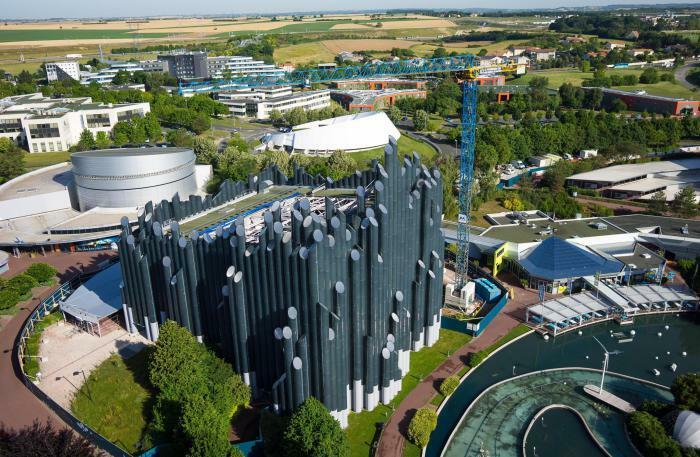 Built five miles north to the city of Poitiers, in France, Futuroscope was opened to public in 1987 and the park celebrates 30 years of its existence in 2017. With new exciting attractions added to the park’s already impressive range of visual themes, tourists are bound to have an enjoyable day when they visit. Being a French theme park, most of the attractions are in French but those unable to understand the language are catered through infrared translation headsets which are provided for free if you leave your ID at the desk as a guarantee. There are, however, some attractions that can only be enjoyed in French; one is The Forest of Dreams, which, in fact, is a laser show so being in French only is not a problem, as dreams are understandable in all languages alike. The attractions use visual and audio affects to make you a part of the scene; the powerful hydraulic jacks used in The Race for Atlantis take you through the lost city at a high speed and you are sucked into the experience with the dome shaped screen around you, producing a 3D world that is made even more believable with the use of liquid crystal glasses that give the feel of an enchanting underwater setting. That is just one attraction though, Futuroscope holds at least 20 mind boggling, yet glorious shows that give you the sensation of movement while you experience different worlds, whether it is your Peril on Akryls or the story of the Dance with Robots, you will leave the ride feeling you’ve lived the sensations without having left your seat. 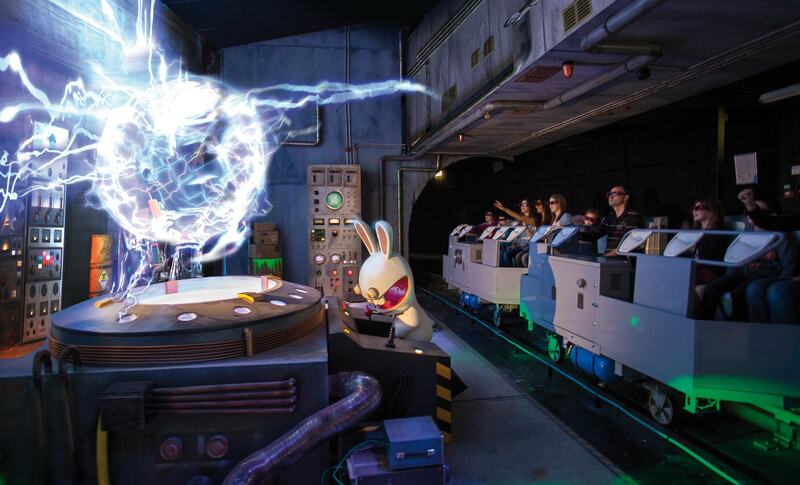 The educational side of Futuroscope not only aims at entertaining but also gives us a greater insight into lives we have not experienced and creates empathy as well. A Journey into the Dark is one such attraction that lets you briefly live the life of the visually impaired who concentrate more on the other senses than visual, to gather a sense of direction. Set right beside the Futuroscope is The Quality Alteora Hotel which, incidentally, is a great place for those visiting the park to stay at during their visit. At about 15 minutes drive from the Poitiers Airport, and a short walk from the Futuroscope TGV train station, commuting to the hotel as well as the theme park is easy and convenient. The 100 rooms are spacious and offer all modern amenities with the added pleasure of a swimming pool. Your food will be served besides the pool as well, by the La Piscine Resturant. You can also enjoy a game of golf at The Saint Cyr Golf Course which is not far either.